...You must have good communication skills! eWareness is looking for a Business Development person who will work with our current sales executive to be a part of a 2-person sales team to handle the day-to-day business development requirements of the company. As a small, growing service company, eWareness has a need for an additional business development person with strong organization skills who will self-manage, all while wearing many hats in a day-to-day environment of a fast-paced, growing small business. You will be expected to developing and controlling strategic relationships with third-party companies to bring customers and additional business to the organization. Responsibilities include: making, maintaining and researching third-party contacts and opportunities and evaluating, negotiating, and managing business deals, mergers, acquisitions and alliances. Additionally, you will be responsible for developing sales objectives, sales forecasts and sales pipelines. You will also monitor the marketplace, analyze competitors, compile customer data to identify and recommend actions regarding pricing, distribution, product enhancements and new product development. Our ideal candidate will work with internal and external marketing personnel to help guide present and future marketing activities. Help public relations personnel by suggesting business related ideas for future press releases. Work with advertising personnel to help steer future campaigns. Business Development: help with various business development projects including networking with prospects/clients/partners/vendors, attending local and national networking events, handling all stages of business development, working with internal staff and prospects/clients/partners to ensure all parties are updated on the status of various projects. Phone and face-to-face prospecting. Prospect Stage: Communicate with past and present prospects to ascertain new business opportunities. Utilize contact database to prospect for business. Help create a requirements document if necessary. Proposal Stage: Take RFPs/RFIs and create a professional, customized proposal. Provide pricing information, detailed service offerings, references and more. Contract Stage: Work with clients to customize contracts, get contract signed and get necessary upfront fees. Project Stage: Work with internal staff and clients to ensure clients requirements are being met. Completion Stage: Present final product to client. Get any necessary fees. Post-Production Stage: Follow up with clients to ensure they are happy. 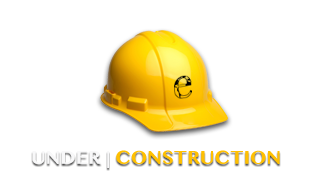 Work to get additional project work and referrals and testimonials. Communication: Manage business communications through every step of the sales process including: initial contact through to post sales follow up, contact about past due fees, future work potential, potential PR and more. Maintain internal contact database. Reporting: Provide various business development/sales pipeline and other weekly updates. Maintain various charts. Partnerships: Work with current partners to create additional revenue opportunities as well as work to develop new partnerships. Organizations: Work with organizations, attend membership meetings and more in order to prospect for new clients. Old requests and contact dB. We are growing. As we continue to grow our goal is to add additional sales and marketing personnel. Even further, our goal is to bring on people now who have the ability and desire to grow into higher-level management positions as we continue to grow. 1900 S. Harbor City Blvd.